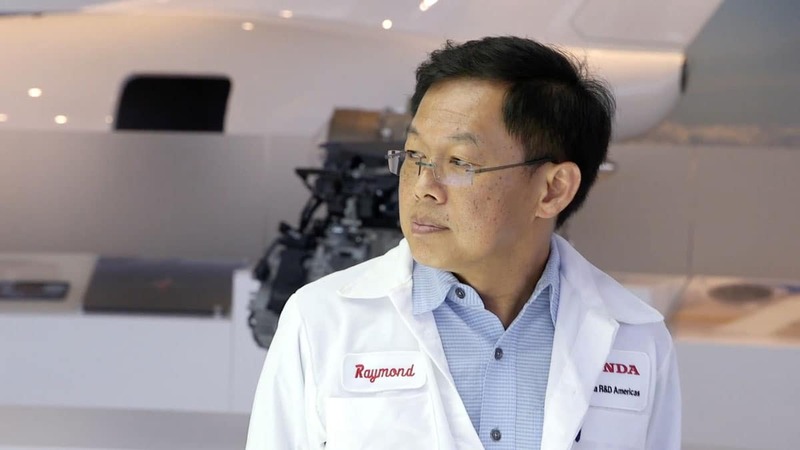 Ray Khouw, an engineer at Honda R&D Americas, Inc., lights up when he talks about the joy of taking an idea for a product from the initial design stage to mass production. He is even more passionate about sharing these engineering skills with the students from Team Techno Storm that he coaches in the FIRST® LEGO® League team. Khouw, who works in engine design, is the latest subject of the What Makes a Honda is Who Makes a Honda video series. With Khouw serving as a mentor, Team Techno Storm developed a water catcher that utilizes a special mesh to create condensation from wind and then captures it for irrigation purposes. The Ohio-based students submitted the idea to the Honda Smart Home, a demonstration home for zero-carbon living and personal mobility technologies in Davis, California. Honda Smart Home project leader Michael Koenig embraced the idea – and the students’ innovative mindset – and several members of the FIRST® LEGO® League team traveled to the home to see firsthand the installation of the device. Khouw was most pleased that the middle school students took initiative to pursue the partnership with Honda on their own and were able to turn their prototype into a reality. The Who Makes a Honda video series focuses on Honda associates who live out the company’s commitment to The Power of Dreams, a global theme that encourages Honda associates worldwide to conceive ideas that will create new value for customers and society and then show the determination required to bring those dreams to life. In addition, the video series spotlights the inspiring efforts of Honda associates in their work and in the community. The Who Makes a Honda video featuring Ray Khouw can be viewed on Honda’s YouTube channel at https://youtu.be/8mkgeA-w2oE. Honda seeks to be a company that society wants to exist, creating products and technologies that improve the lives of people while minimizing the environmental impacts of its products and business operations to ensure a sustainable future.